As legislative debate builds in states such as Arizona and Tennessee over the possible expansion of education savings accounts (ESAs), which would empower more families with educational choice, it would be wrong to assume from media reporting that teacher unions speak for everyday public school teachers in expressing hostility to all such efforts to extend the benefits of choice more widely. Consider the results of the 2018 Schooling in America Survey( released in December), which for the first time in its six years asked public school teachers their take on issues of reform. Conducted by the respected Braun Research, Inc. polling firm, in partnership with EdChoice, the polling showed strong support among teachers for ESA-enabled parental choice in education, a cause the teacher unions routinely fight with all the venom and money they can muster. The ESA is the latest innovation in choice, and quite likely the most promising for bringing about enduring reform of K–12 education. It empowers families to have not mere school choice but full-range educational choice, because parents can draw on their state-funded savings accounts to select from and pay for a wide range of options their children might need, such as tuition, therapies, online instruction, dual enrollment, tutoring, or advanced courses. In short, parents can use a portion of their child’s allotments of state funds to customize the child’s education by using multiple or single providers as they see fit. About three of every four parents of school-age children (76 percent) favored ESAs in the national survey. But guess what? An even higher percentage of current public school teachers (78 percent) favored the ESA approach as well. 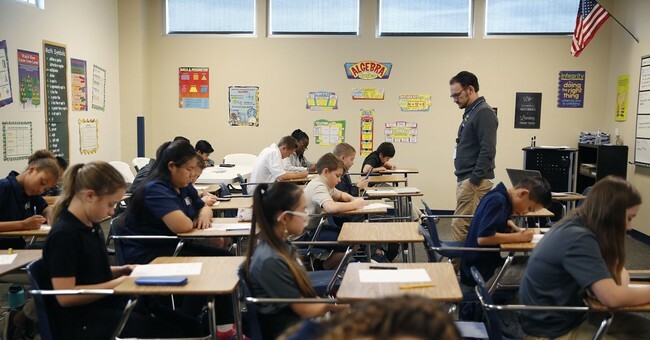 EdChoice, an Indianapolis-based organization dedicated to carrying forward Milton Friedman’s mission of bringing universal choice to education, candidly acknowledged that the wording of survey questions may have affected the answers. For that very reason, interviewers asked about support or opposition to ESAs two different ways: one straight-up question about choice without explanatory materials and another that included a detailed description. ESA support climbed about 20 percentage points when respondents received descriptions. But even without the added language, ESAs drew majority support. In a footnote included in the results, the research team explained that its descriptive question casts the ESA as a “universal, broad” policy, rather than specifying (as some states do) that parents must withdraw their children from a public district or charter school in order to participate in an ESA. Across-the-board access is a reasonable approach if the big goal is to bring about the broadest choice possible. The possibility of ESAs being open to public-sector as well as private vendors may have appealed to some teachers, but consider also that many teachers are parents themselves; therefore, they might appreciate the beauty of using ESAs to customize education to the needs of each child. That would be truly personalized learning (PL), as opposed to the digitized and robotic PL brands being pushed by ed-tech gurus. Dedicated teachers who work hard in public schools do not deserve to be branded as hypocrites when they send their own kids to a private school. All parents should be able to choose the kind of education that best suits their own children.